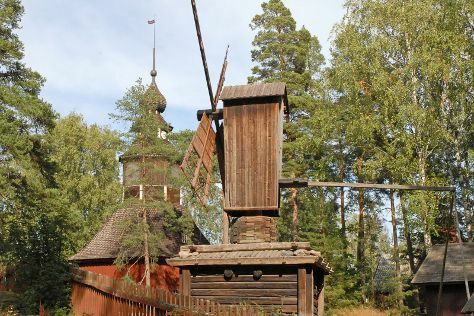 Popular historic sites such as Seurasaari Island and Open-Air Museum and Pyhtaa Church of Saint Henry are in your itinerary. Discover out-of-the-way places like Cathedral of Porvoo and Porvoo Old Town. Change things up with these side-trips from Helsinki: Kotka (Kotka Church, St. Nicholas Orthodox Church, & more). Pack the 19th (Fri) with family-friendly diversions at Linnanmaki Amusement Park. Next up on the itinerary: hunt for treasures at Hakaniemi Market, test your problem-solving skills at popular escape rooms, explore the different monuments and memorials at Hietaniemi Cemetery, and admire the landmark architecture of Johannes Church. For ratings, reviews, traveler tips, and more tourist information, you can read our Helsinki online tour itinerary builder . If you are flying in from United States, the closest major airport is Helsinki Vantaa Airport. In July in Helsinki, expect temperatures between 71°F during the day and 55°F at night. Wrap up your sightseeing on the 23rd (Tue) to allow time to travel back home.